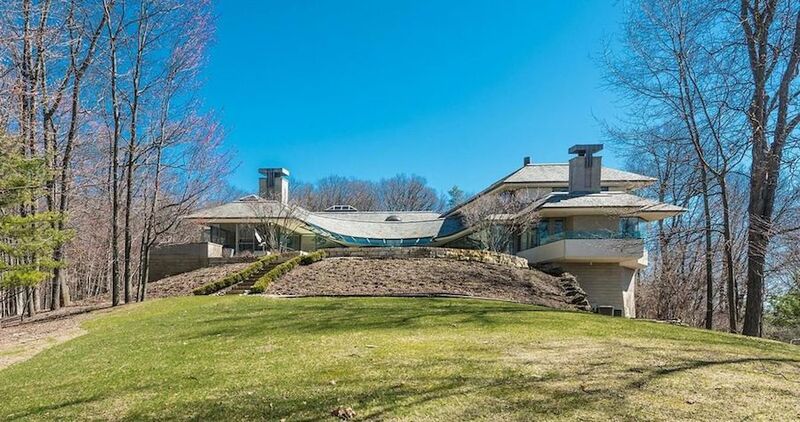 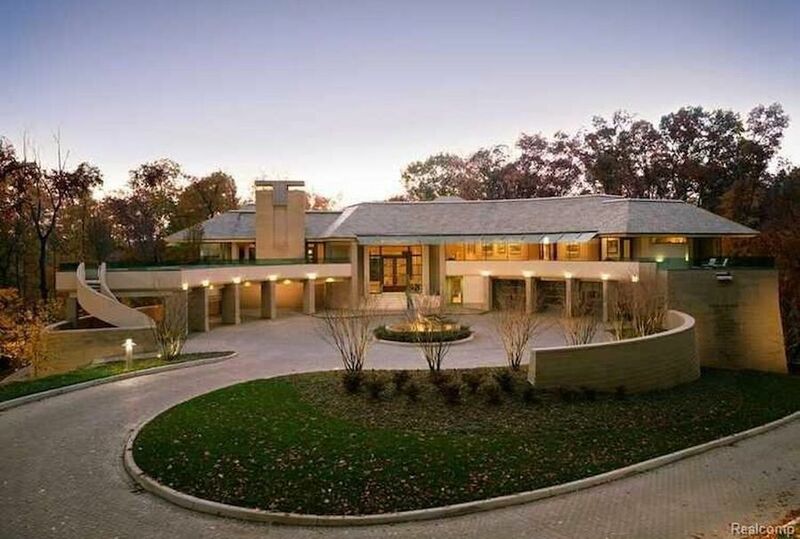 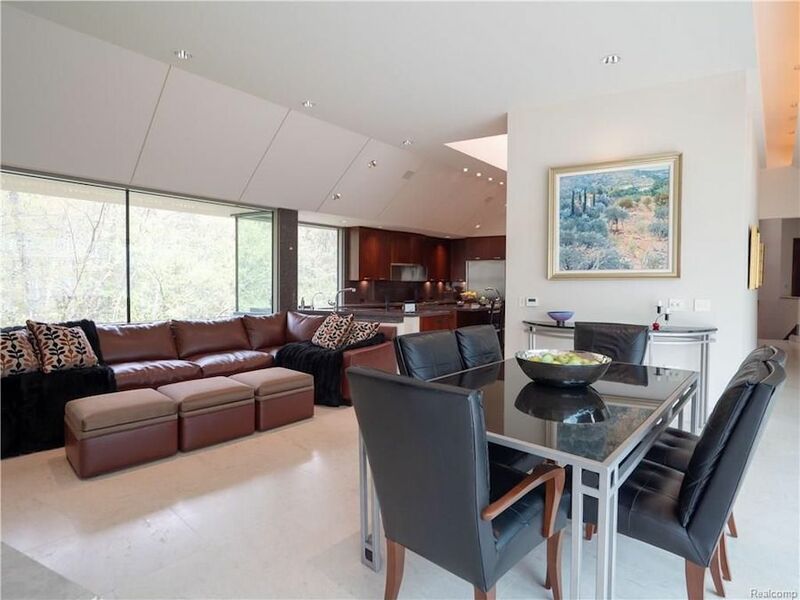 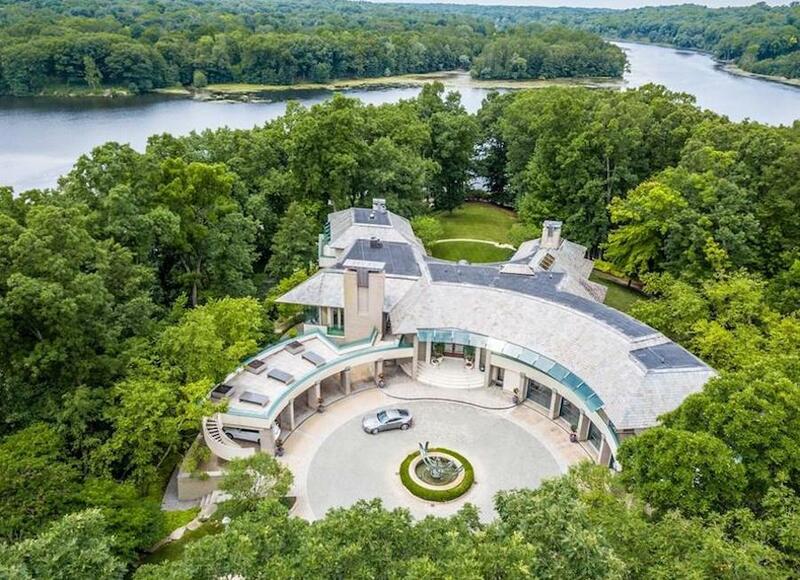 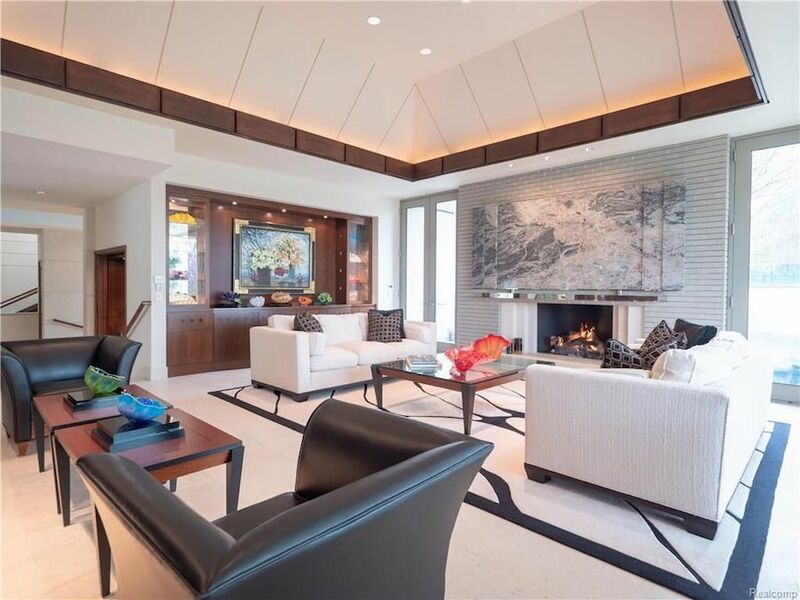 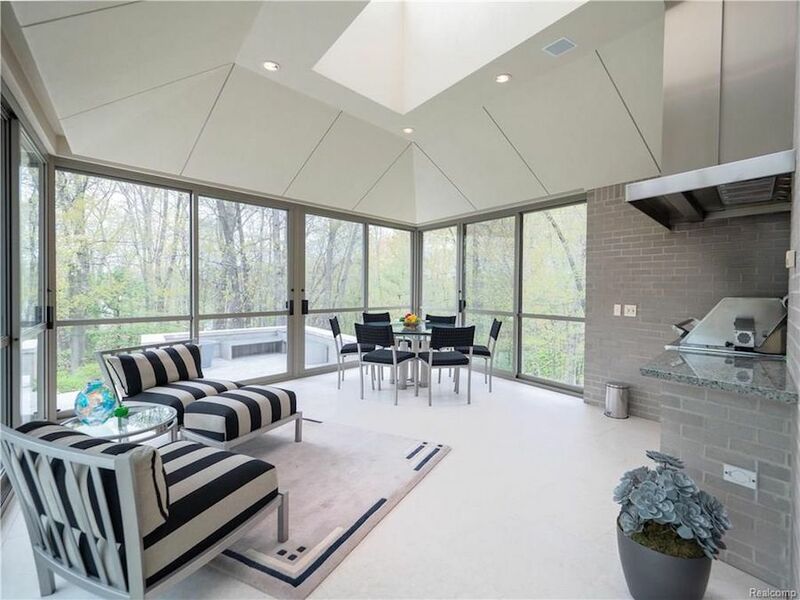 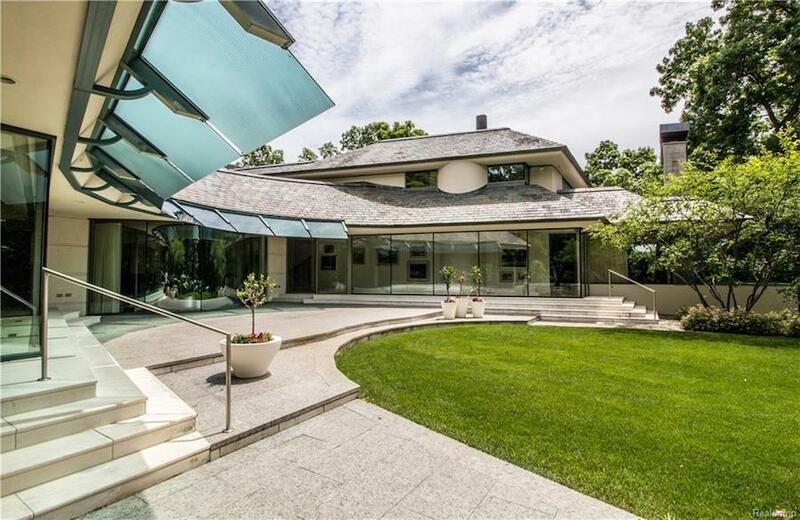 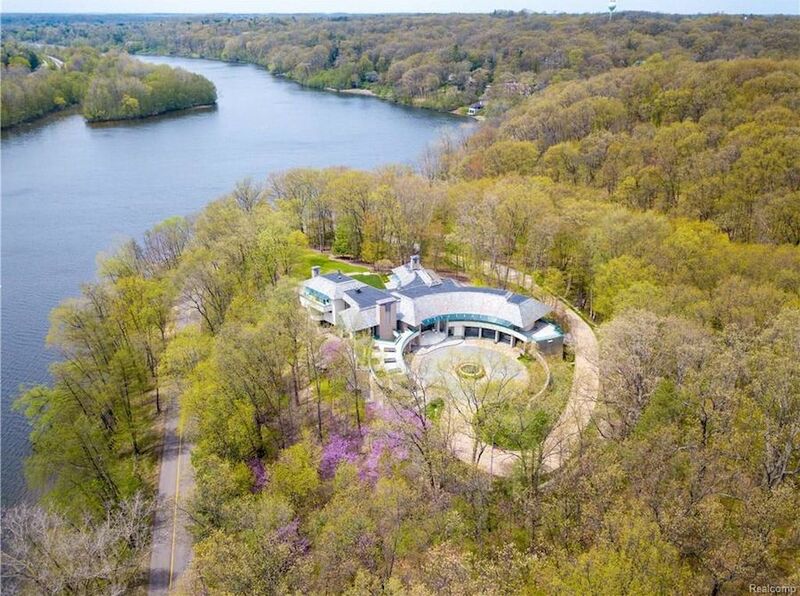 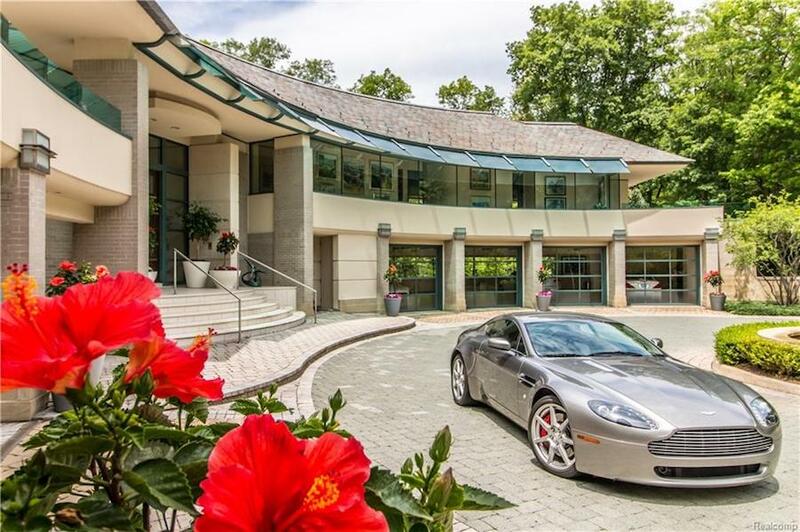 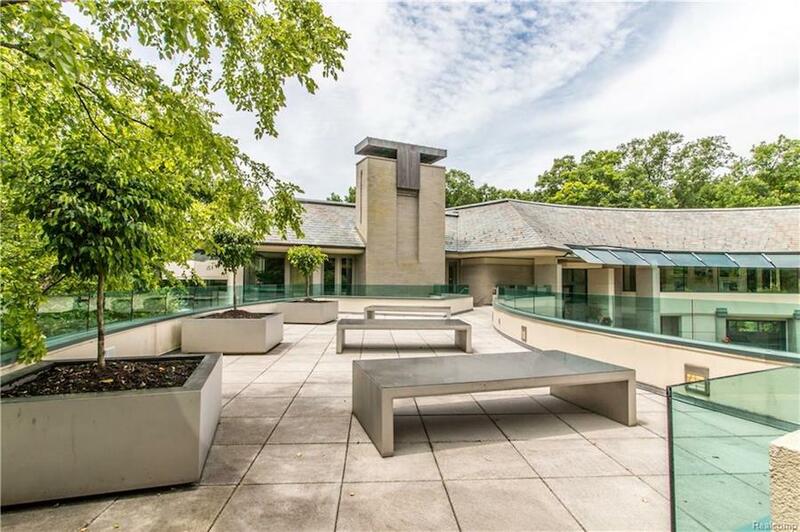 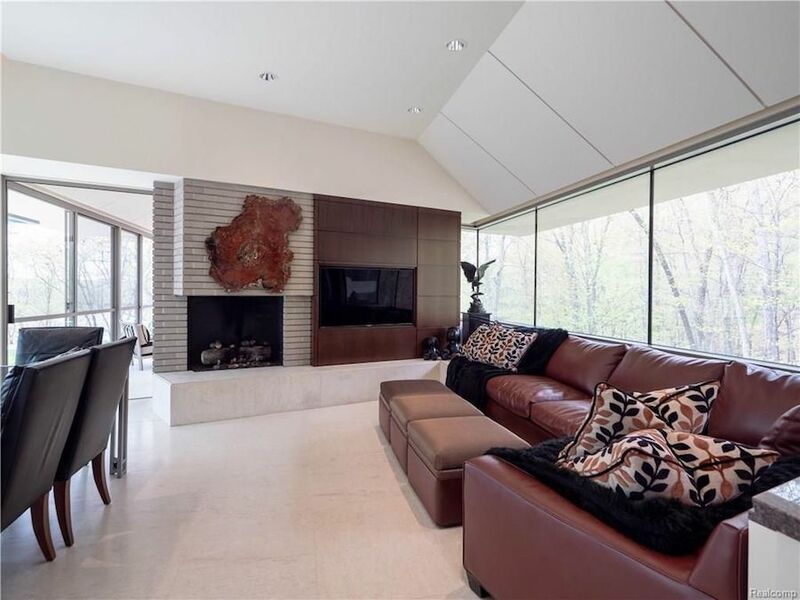 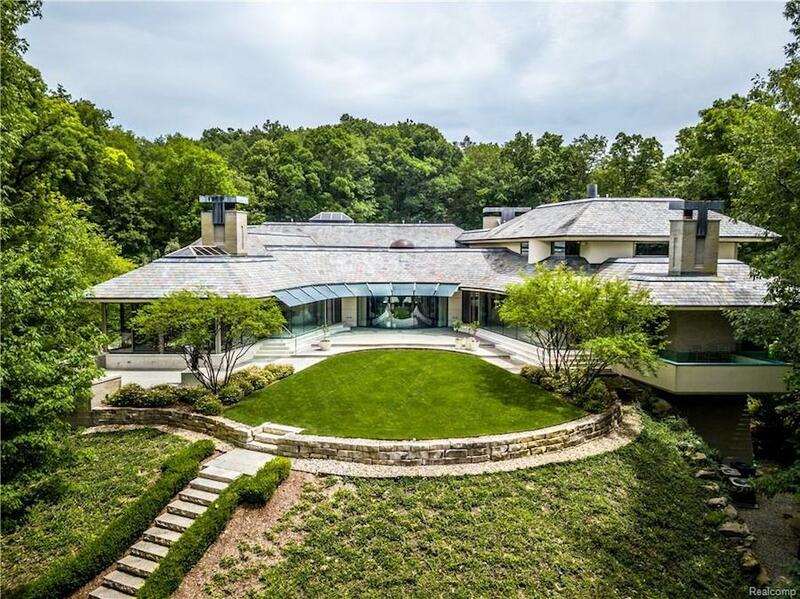 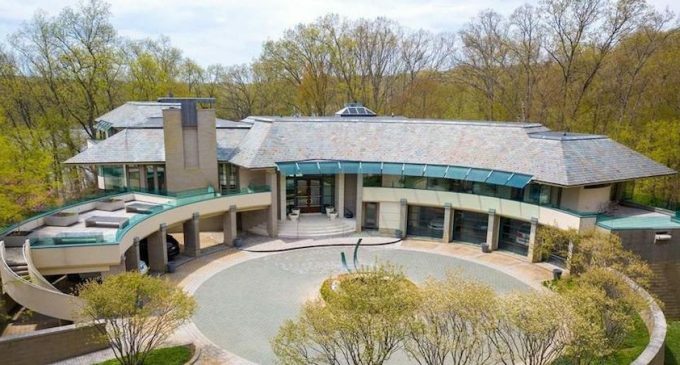 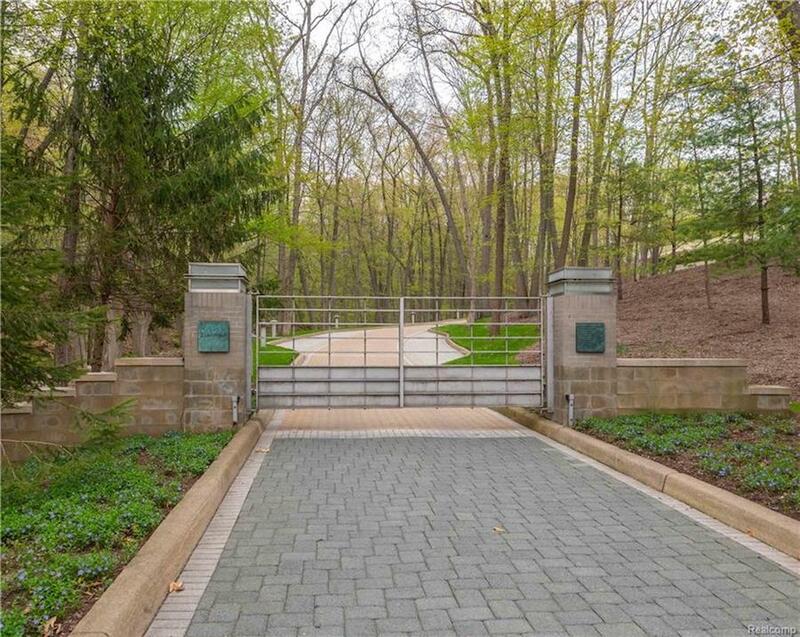 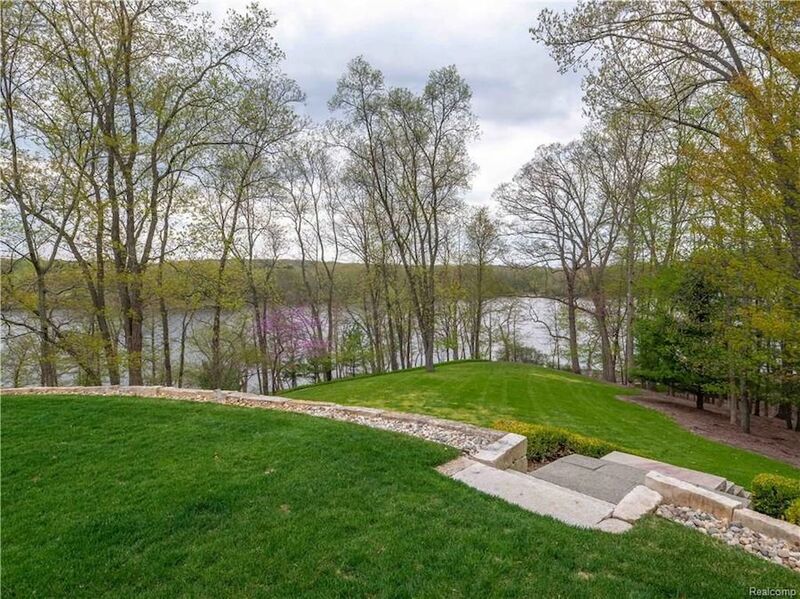 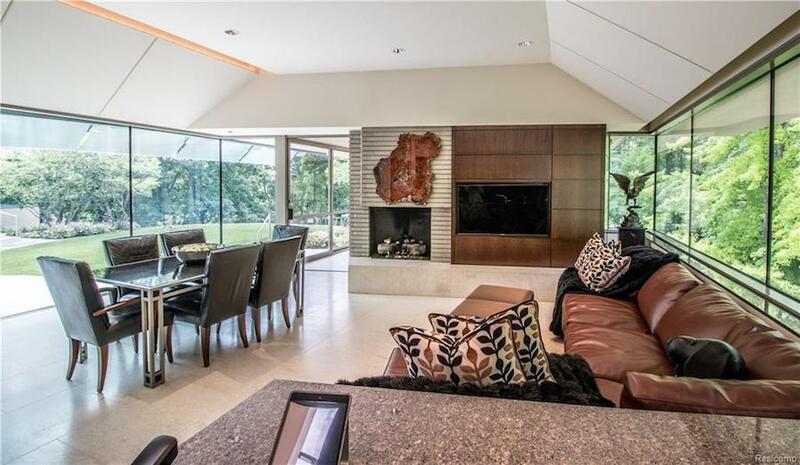 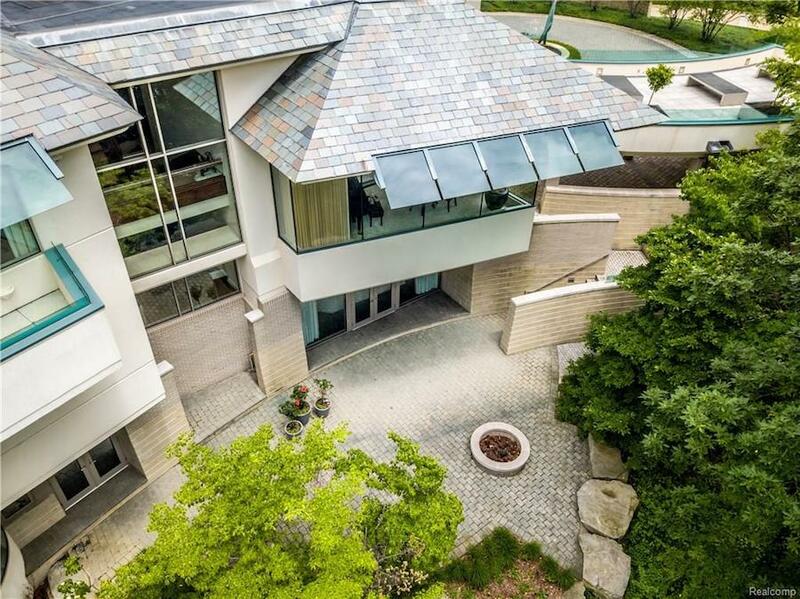 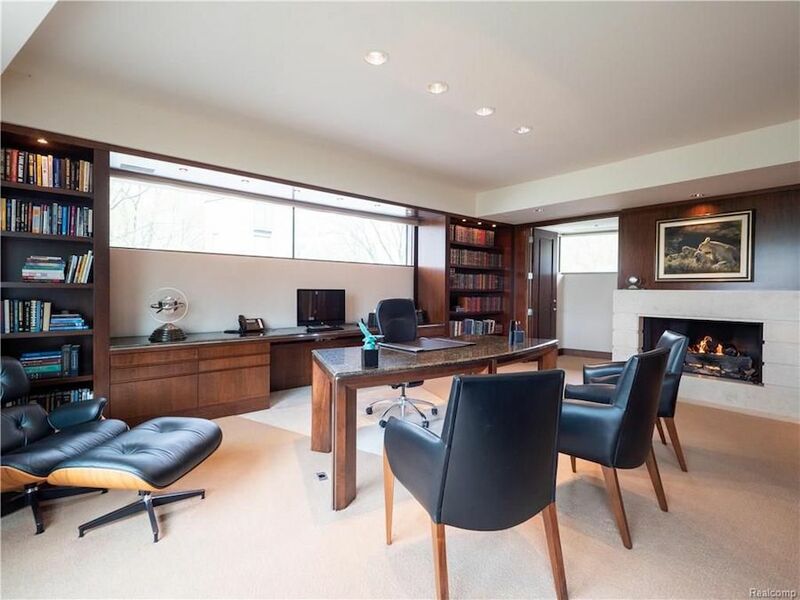 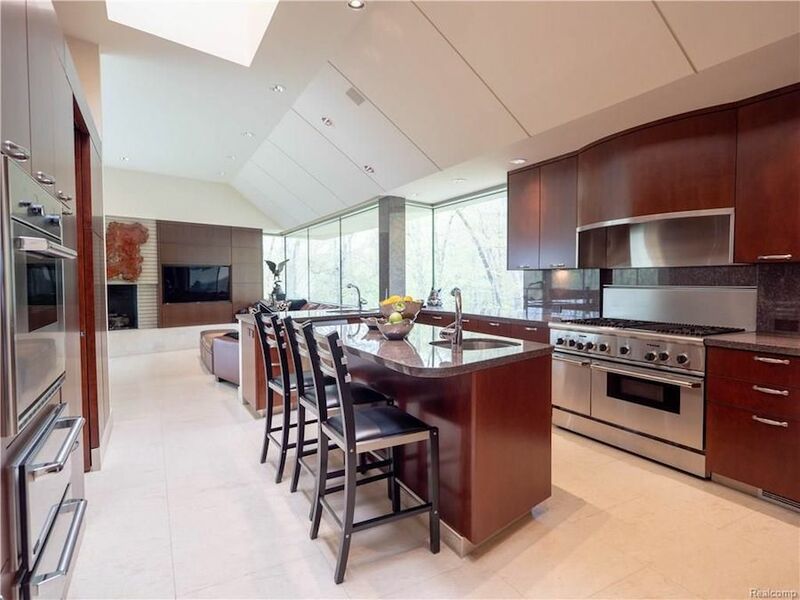 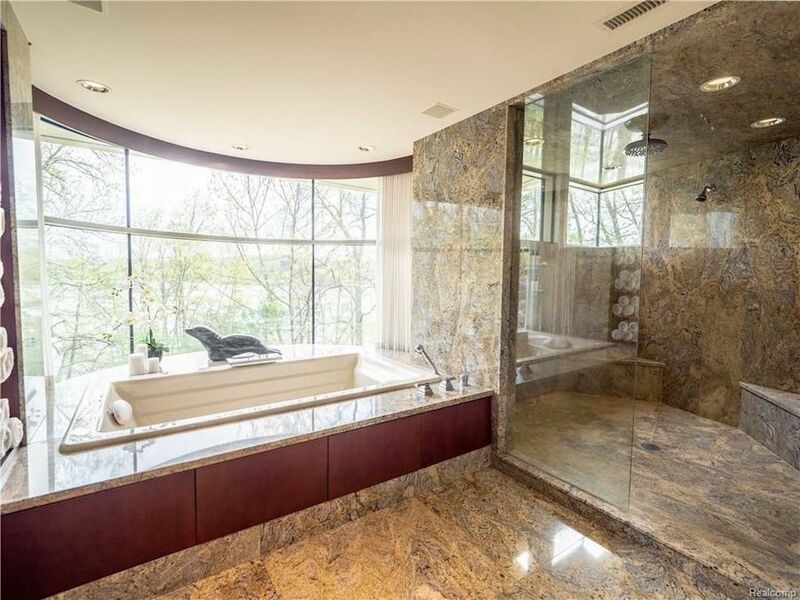 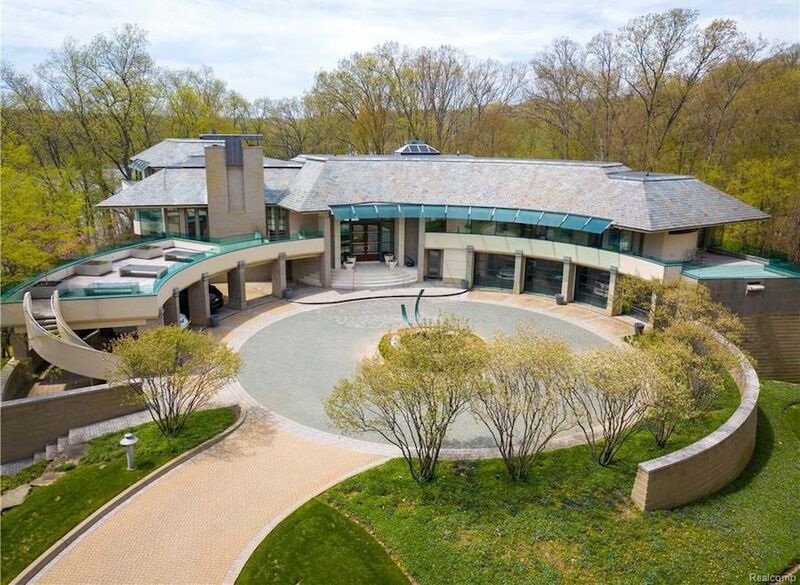 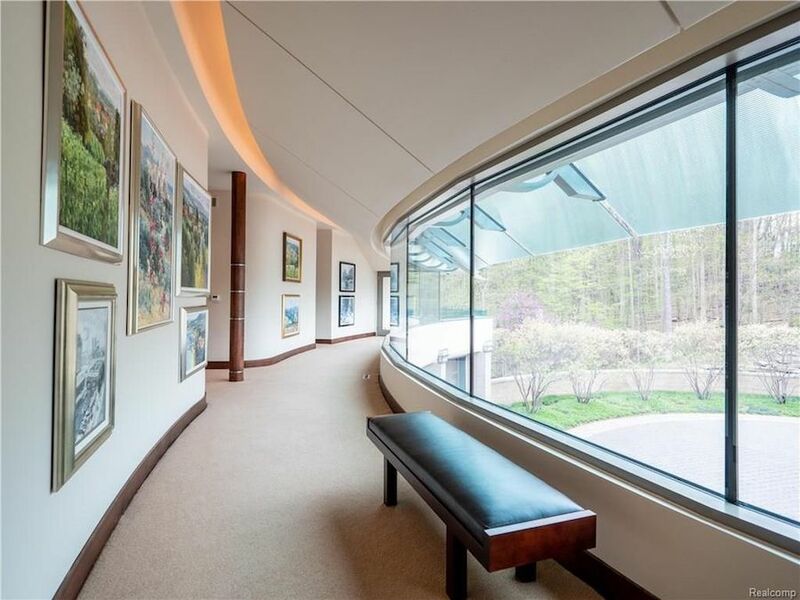 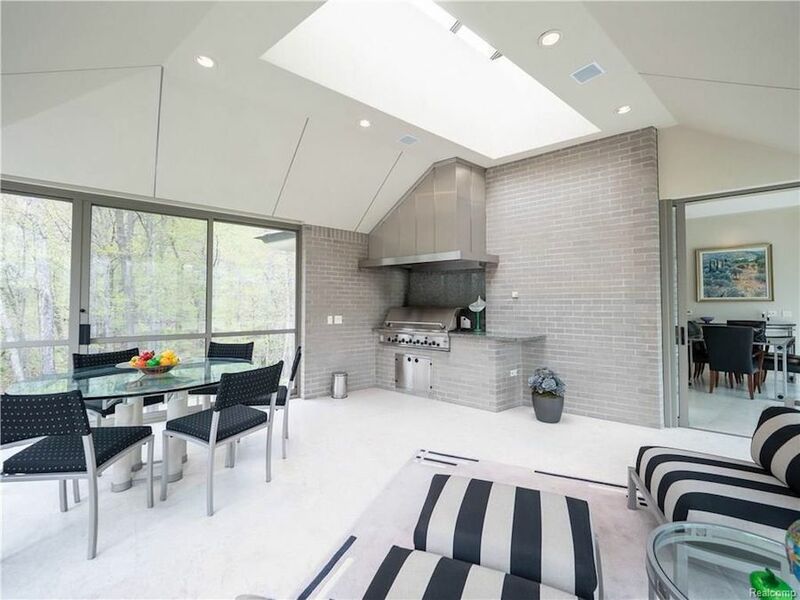 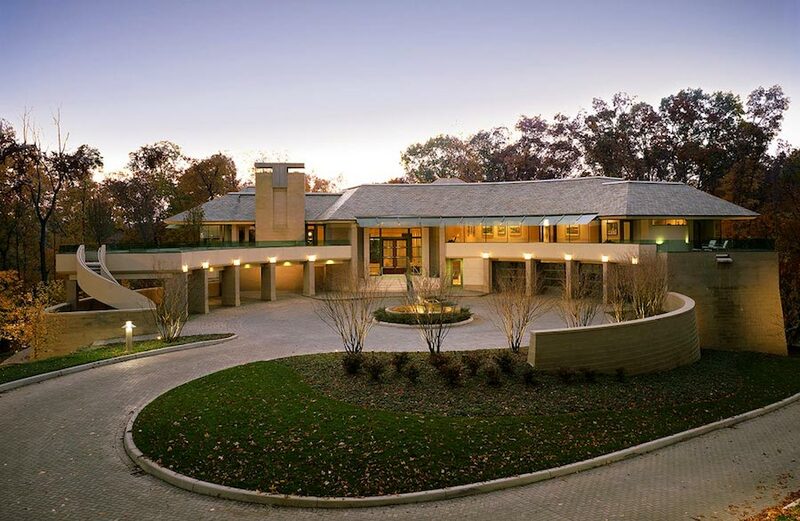 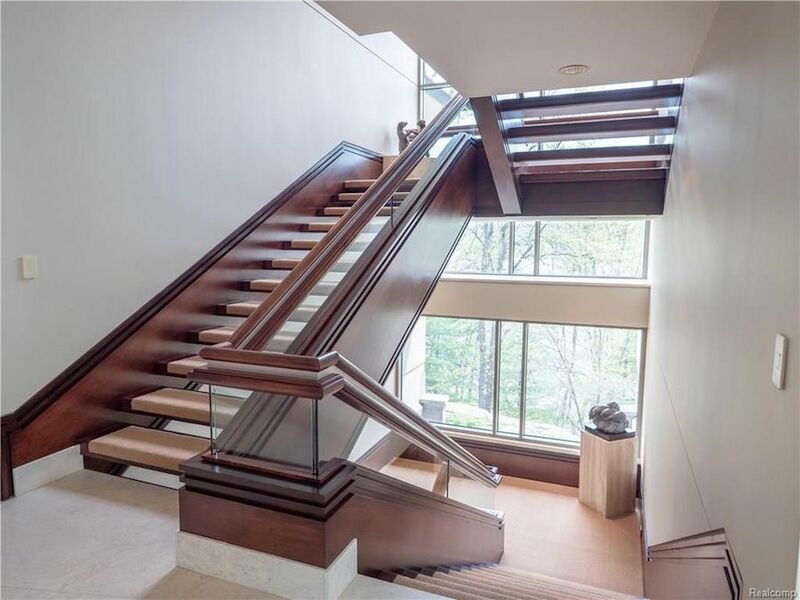 A sprawling Young & Young Architects designed residence on a 4.58 acre estate overlooking Barton Pond in Ann Arbor, Michigan has been reduced to $4,950,000. 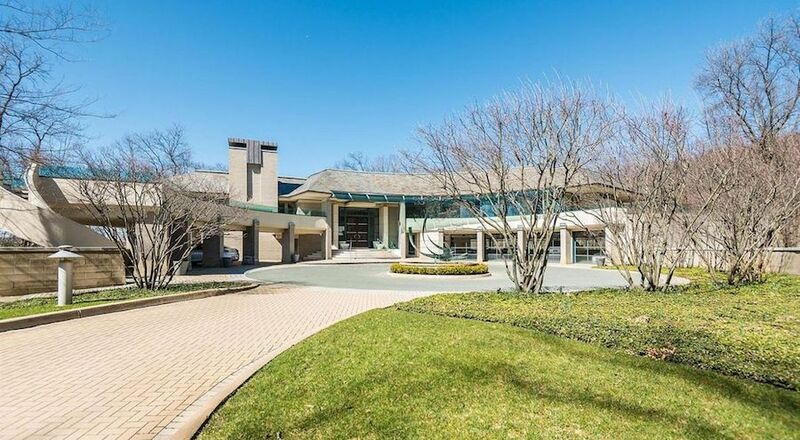 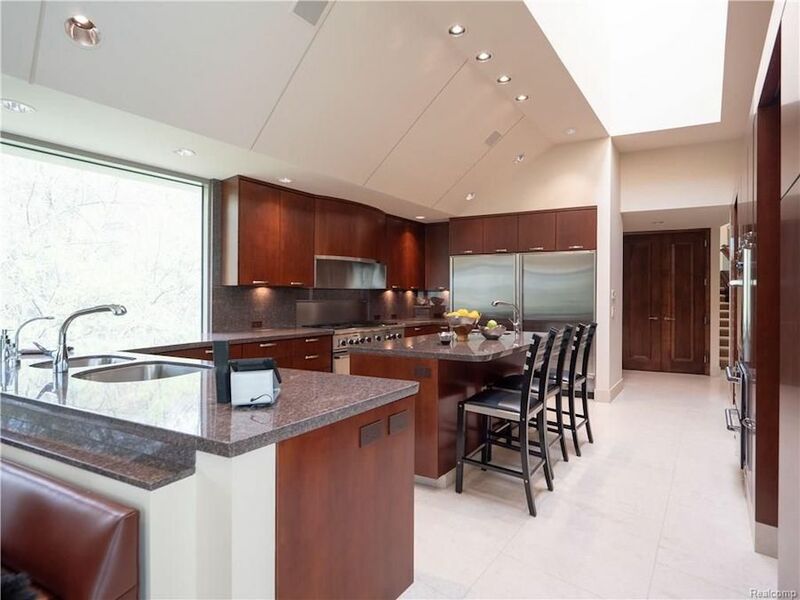 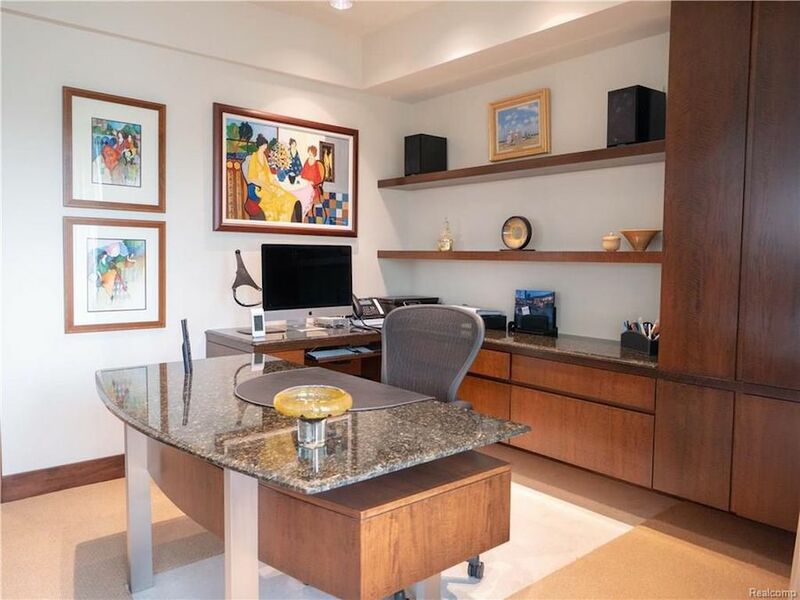 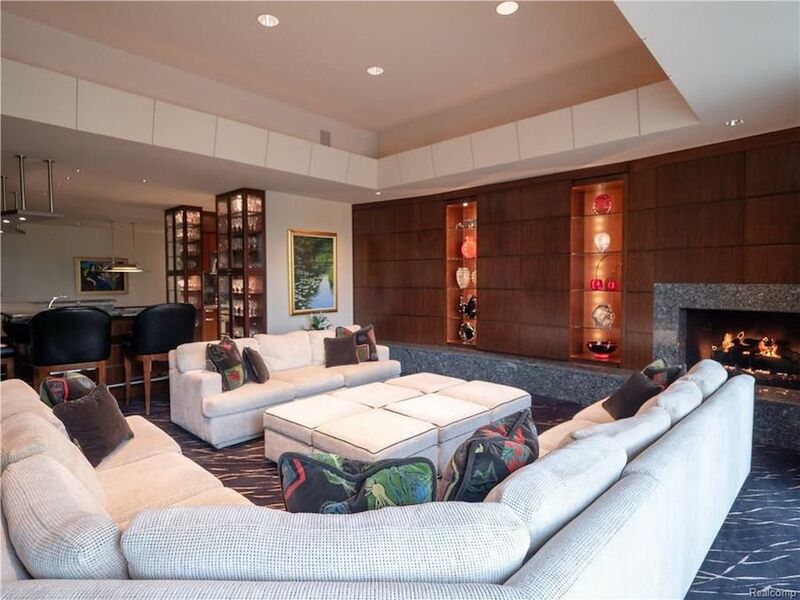 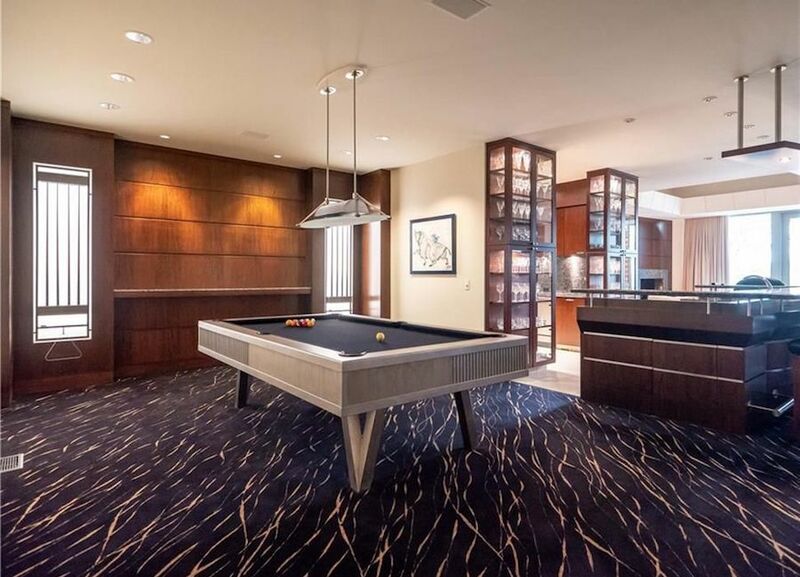 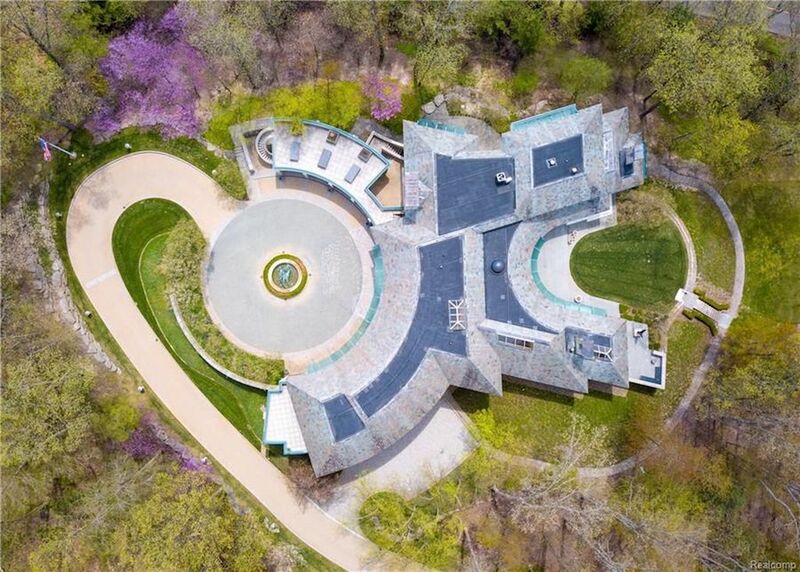 The 9,648 square foot home was previously on the market for $6,950,000 in 2016. 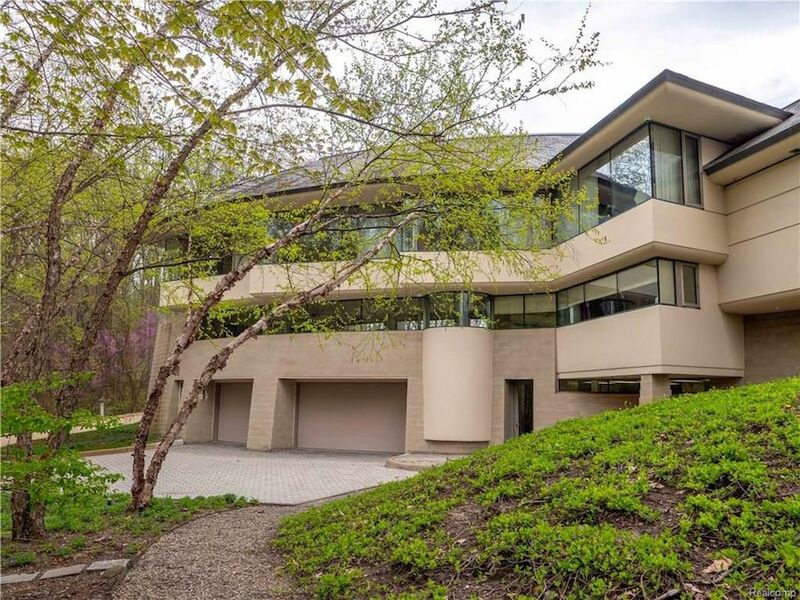 It was designed by Michigan based architects Young & Young and was built over three years for Dave Brandon, CEO of Toys R Us and former CEO of Domino’s Pizza. 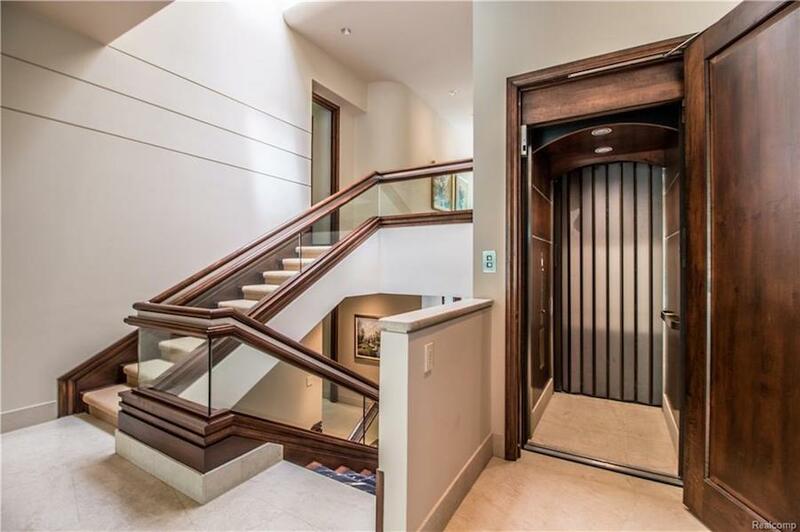 Superior craftsmanship and intricate details throughout. 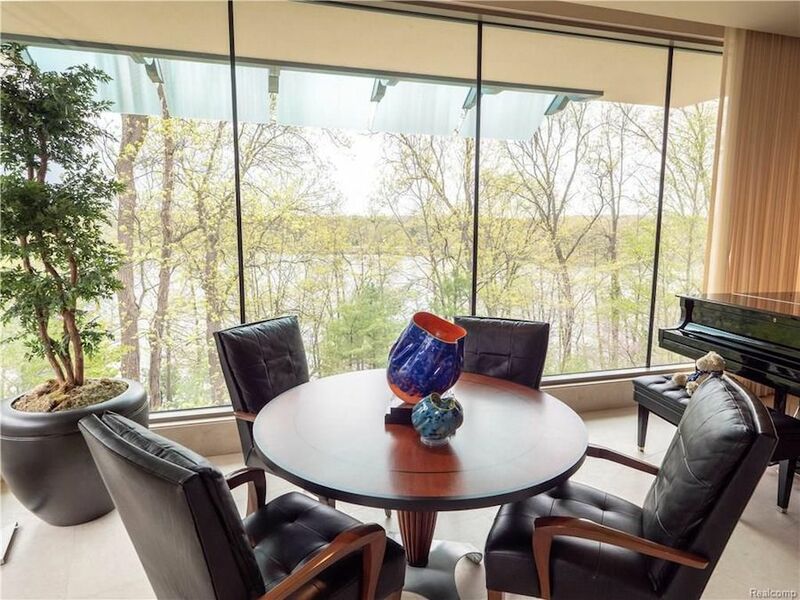 Enjoy features including water and nature views with an abundance of glass, custom lighting, gallery halls, cantilevered terraces and beautiful natural elements. 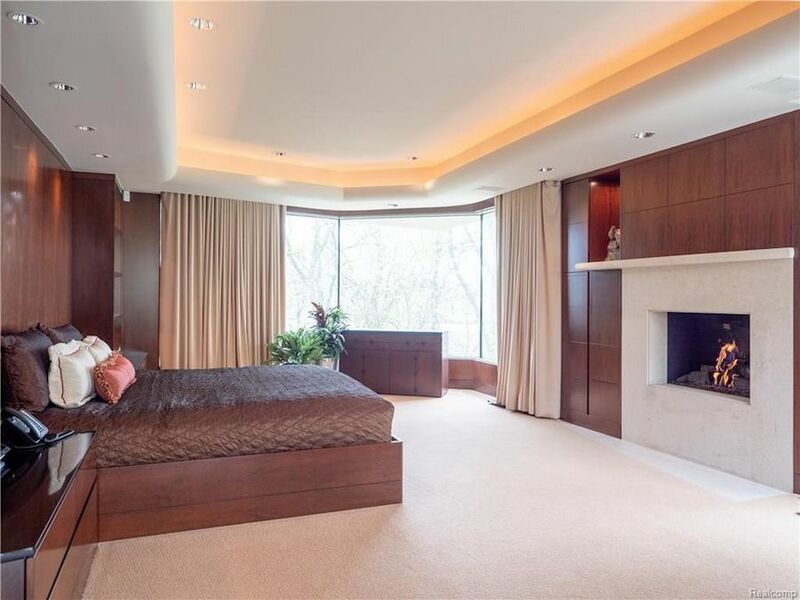 There are a total of six bedrooms including a master wing with fireplace, spa bath, dressing rooms and private access to dual offices. 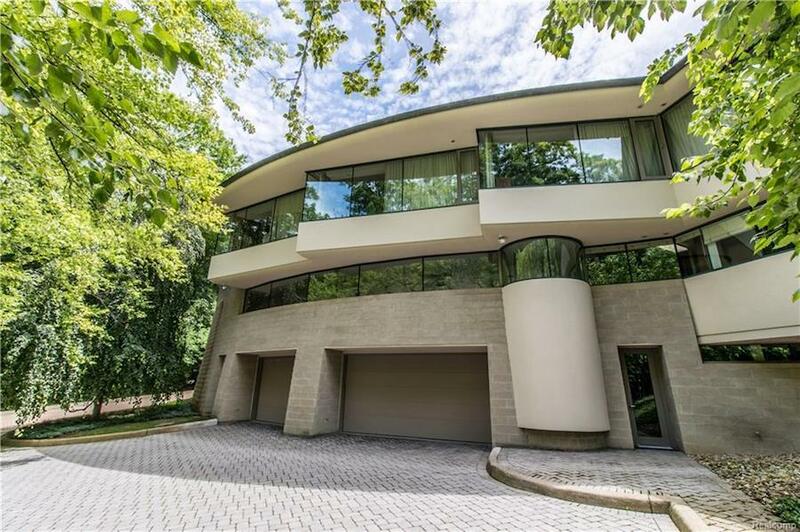 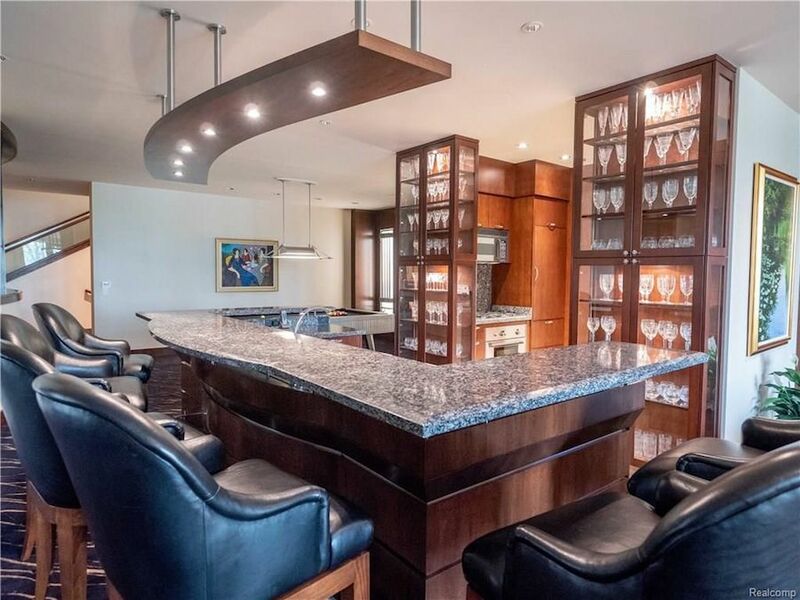 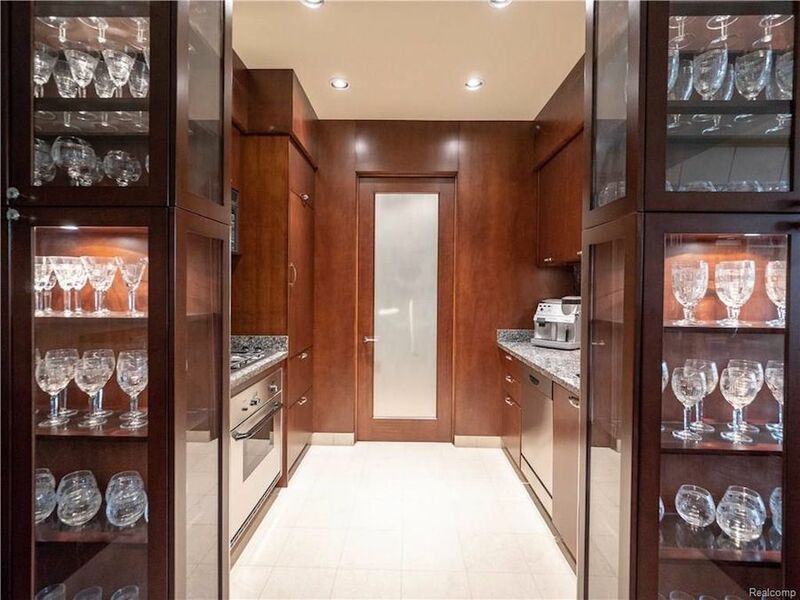 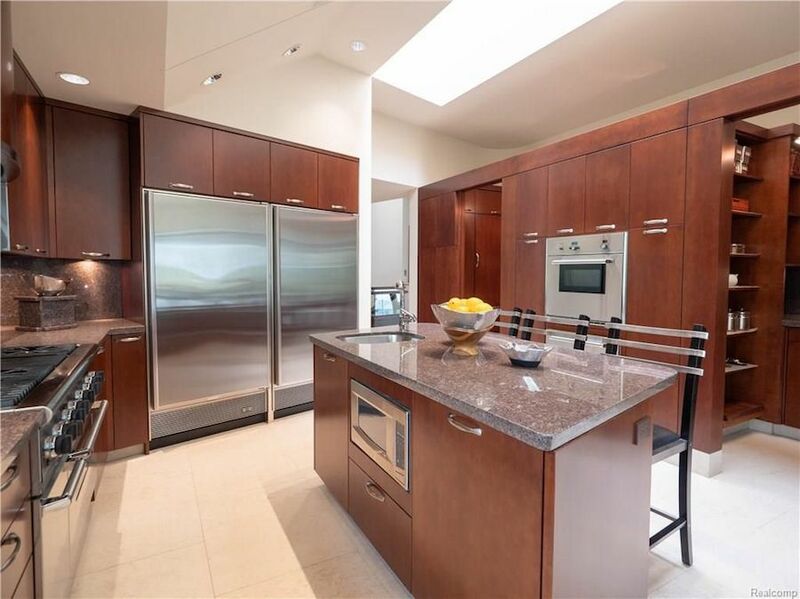 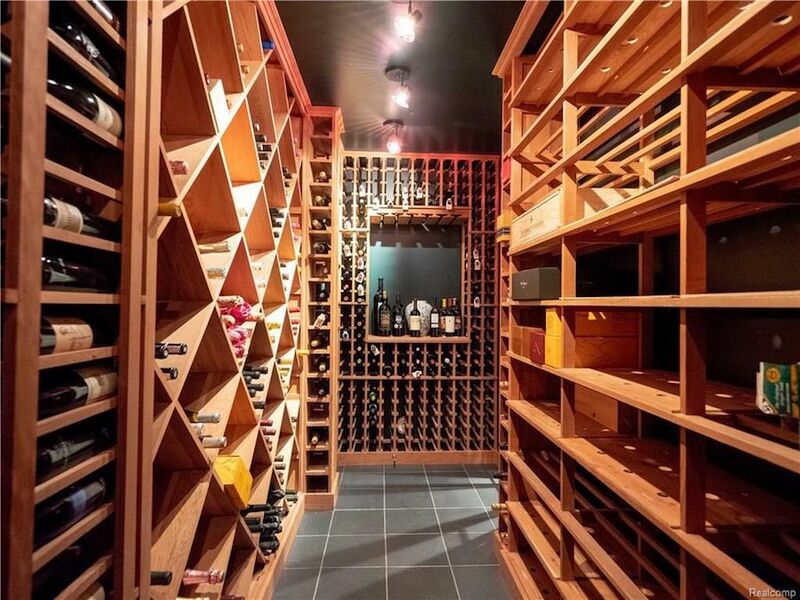 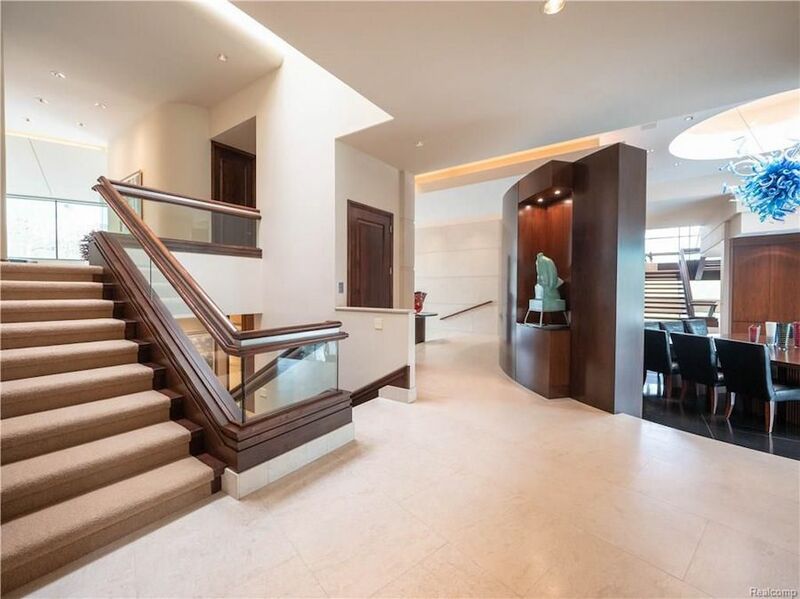 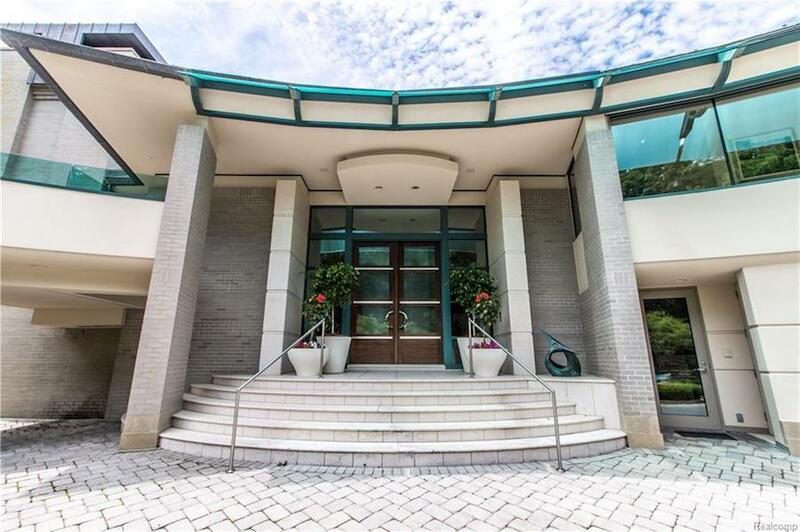 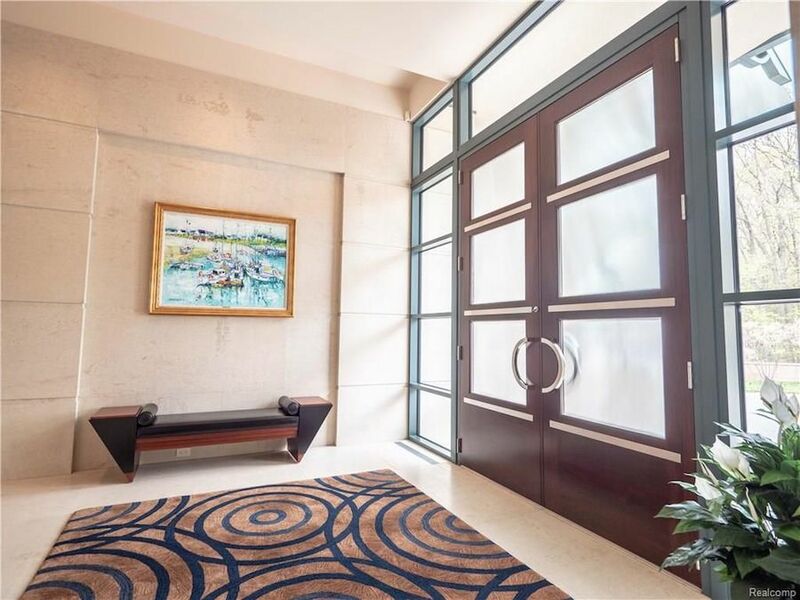 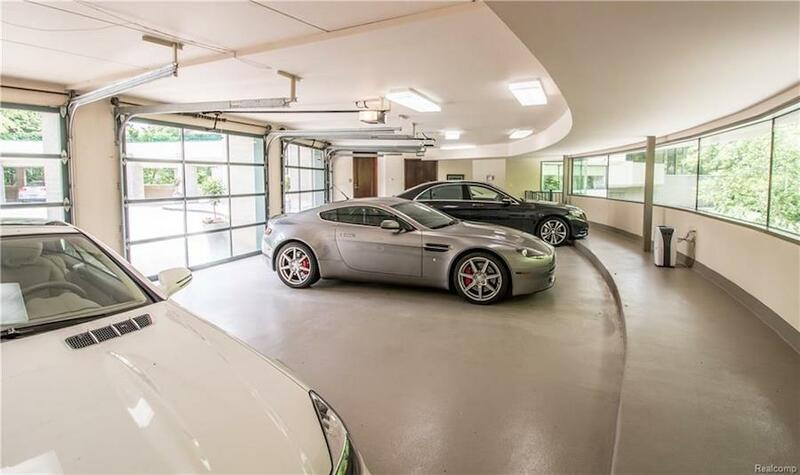 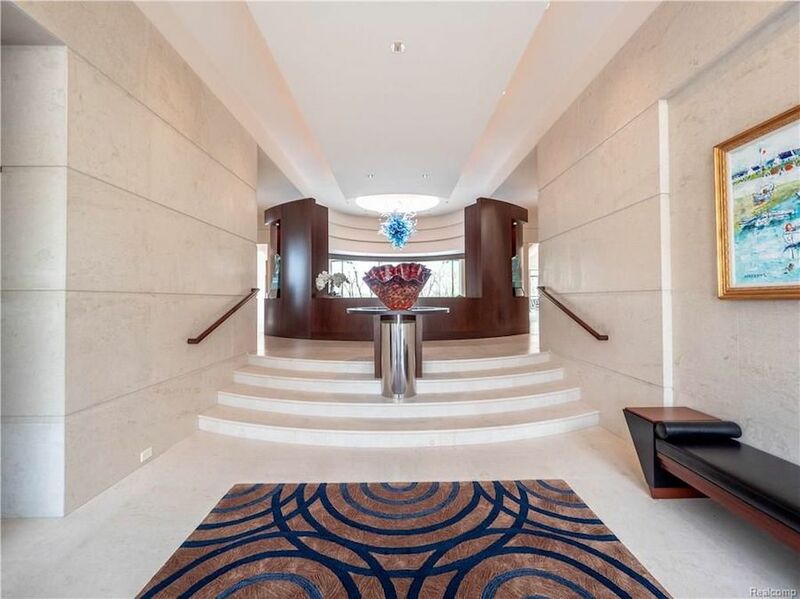 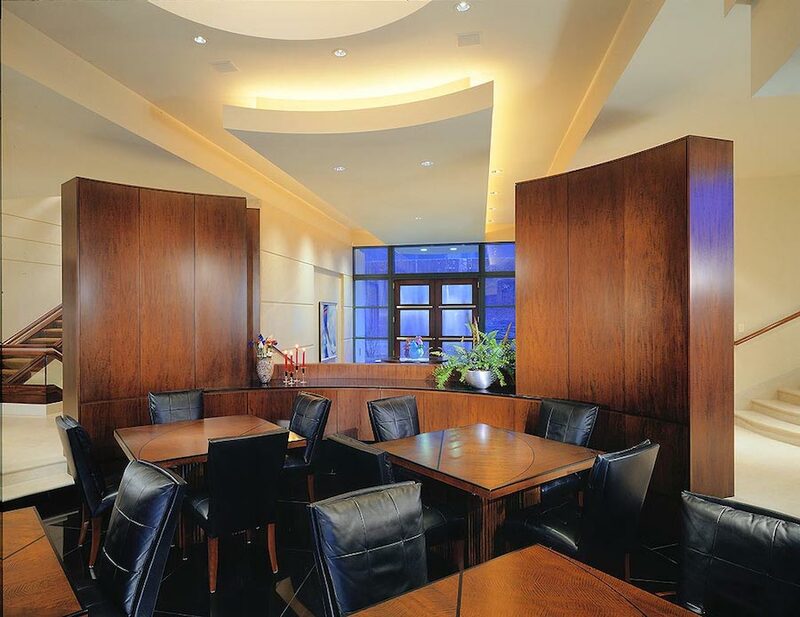 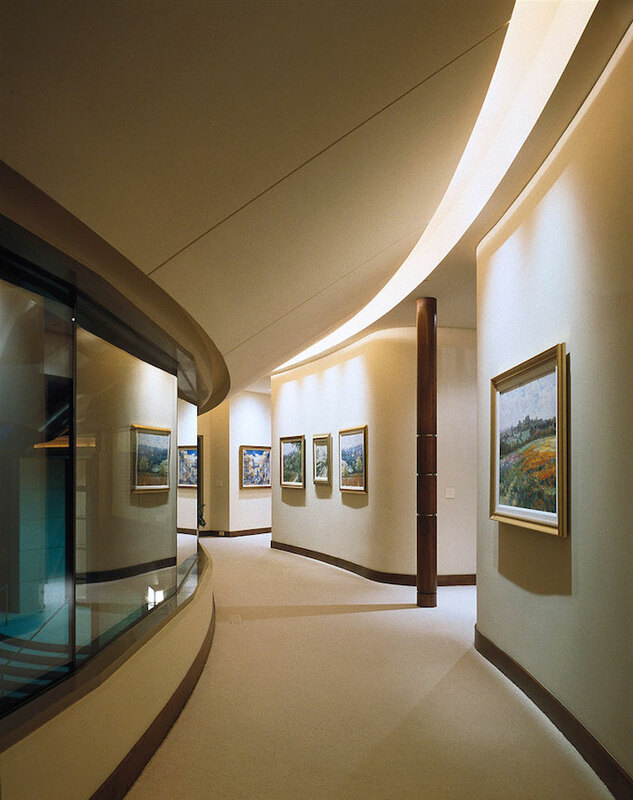 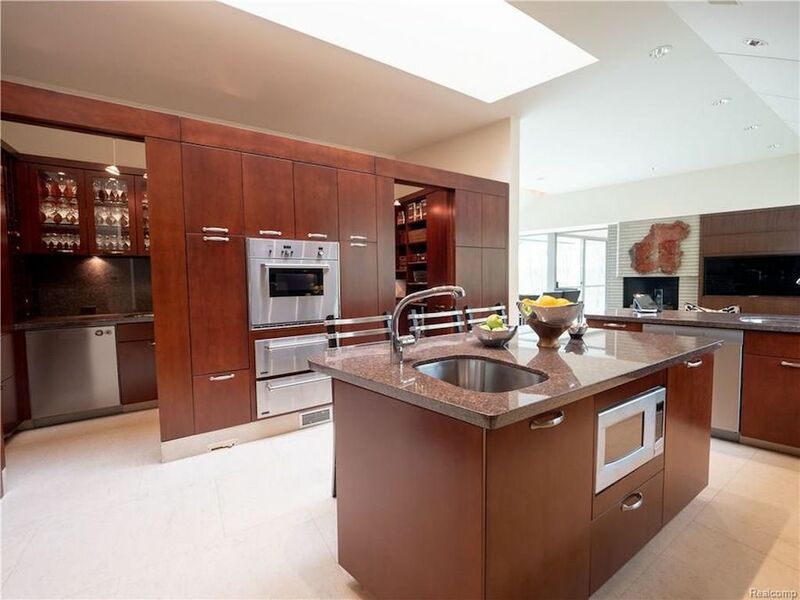 There’s also an elevator, multiple terraces, sunroom, chef’s kitchen, theater, billiard room, wine cellar and garage space for eight vehicles. 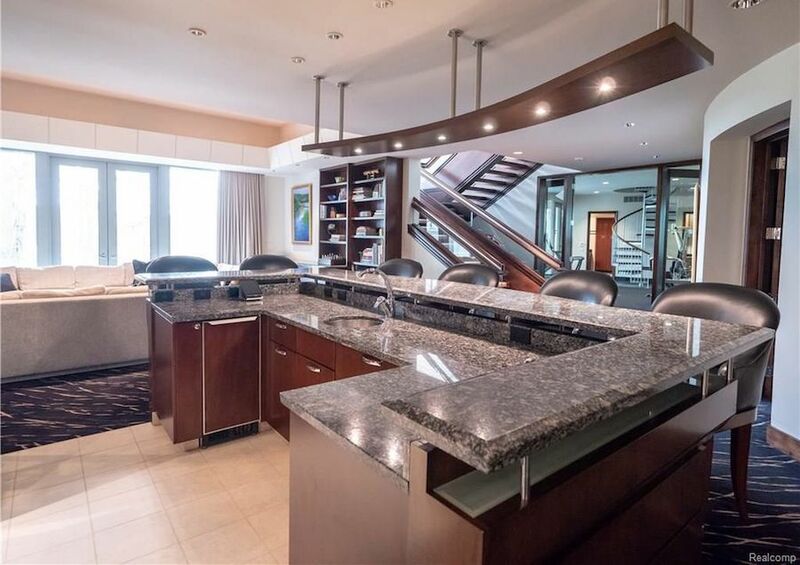 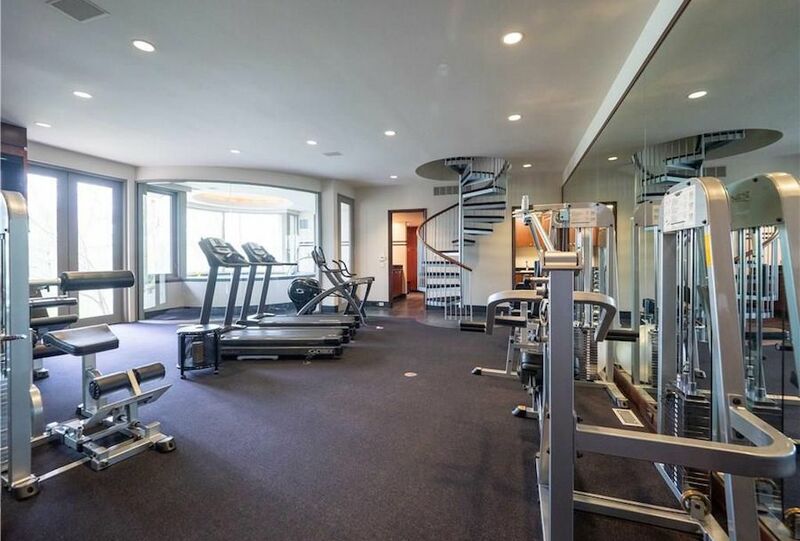 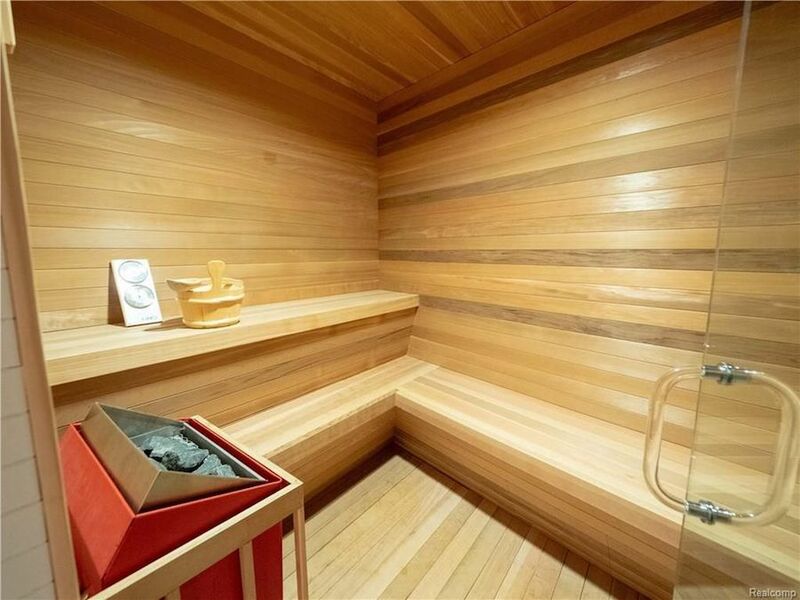 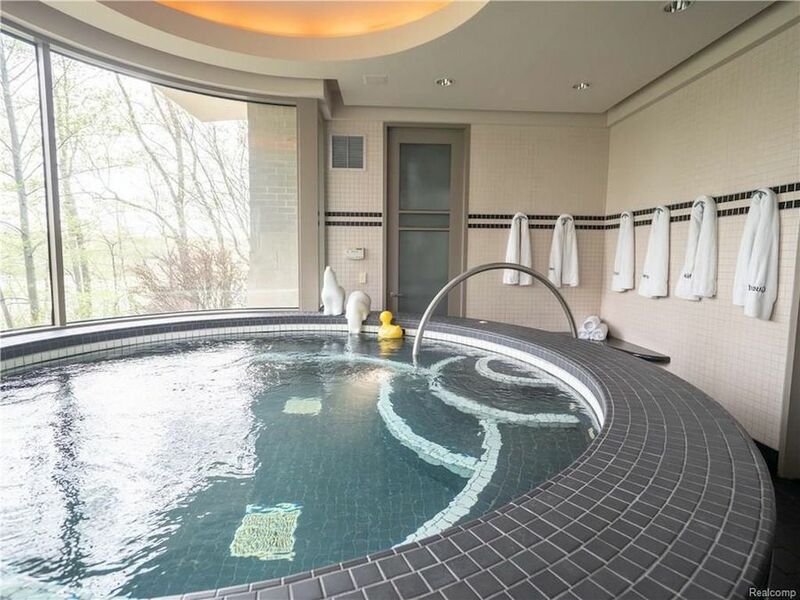 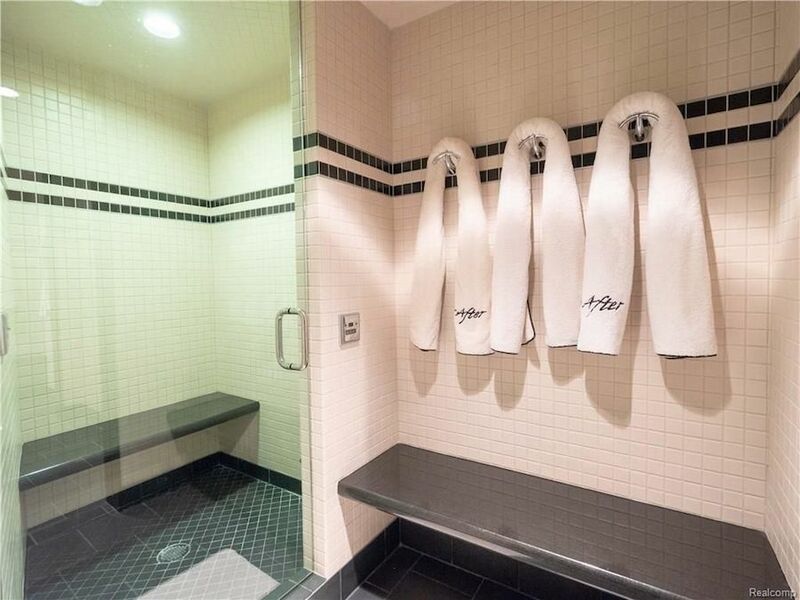 The lower level hosts a large fitness centre with steam room, sauna and hot tub. 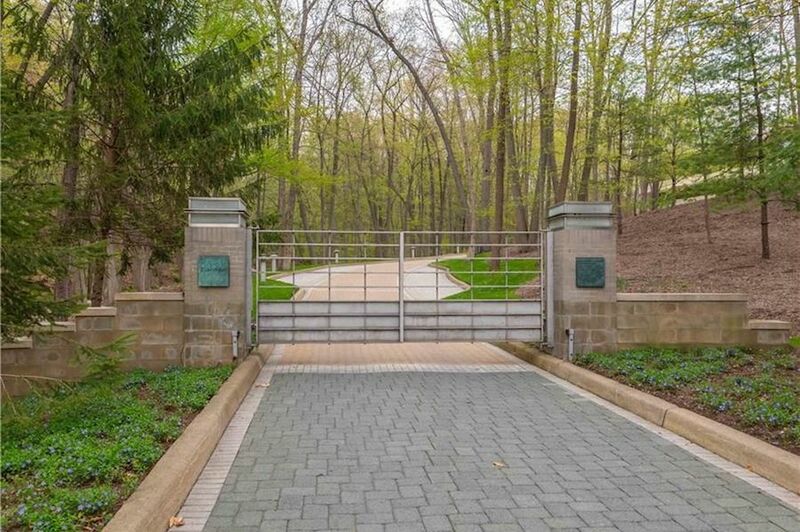 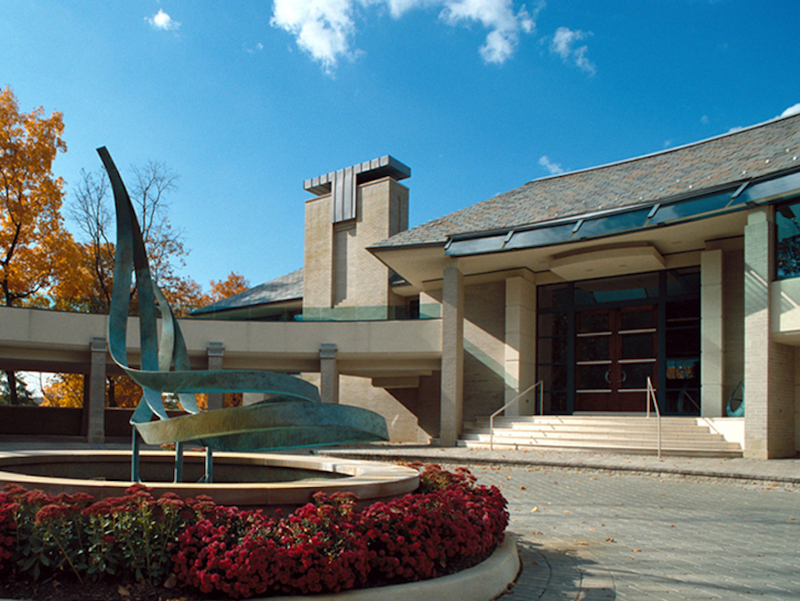 According to the Detroit Free Press, the home is named Ever After and includes an engraved plaque at the property’s entrance gate stating, “Once upon a time a talented group of people came together to dream, and to design and build a place like no other. 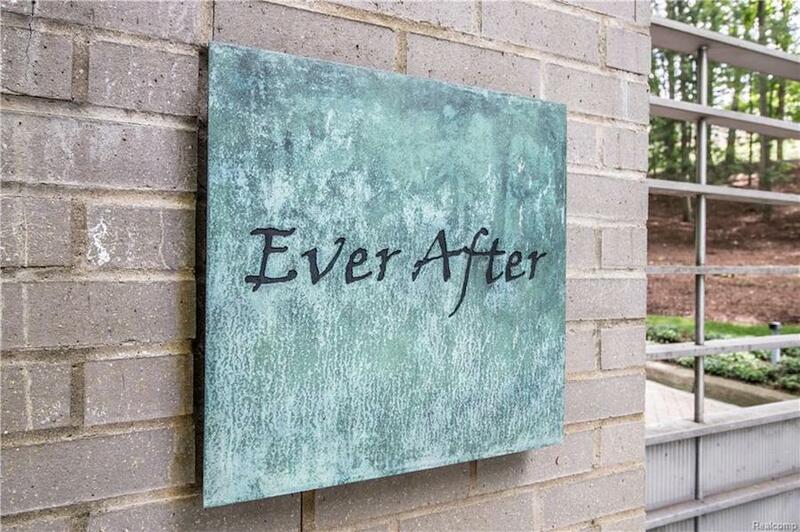 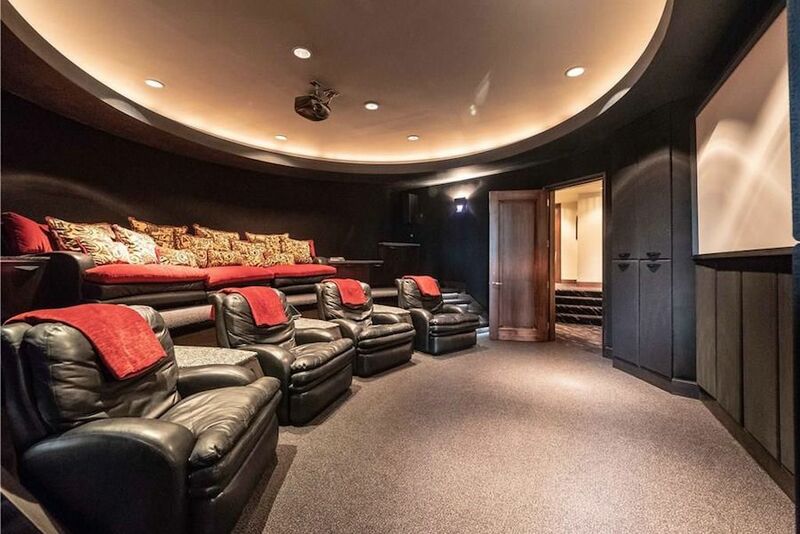 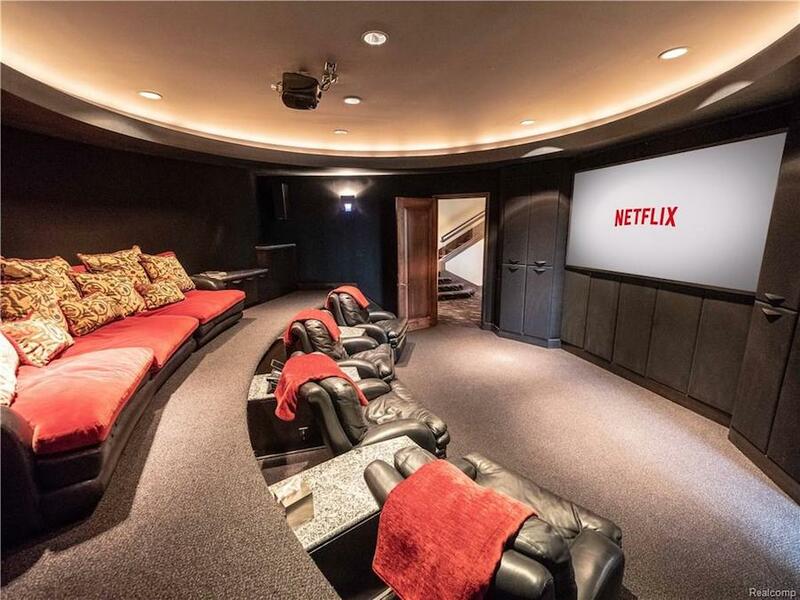 Ever After is the culmination of the work of those gifted people who spent years creating a place the Brandon’s (sic) could live … Happily Ever After.” The home is on the market for $4,950,000 with Hall & Hunter Realtors.